Highway funding and Gov. 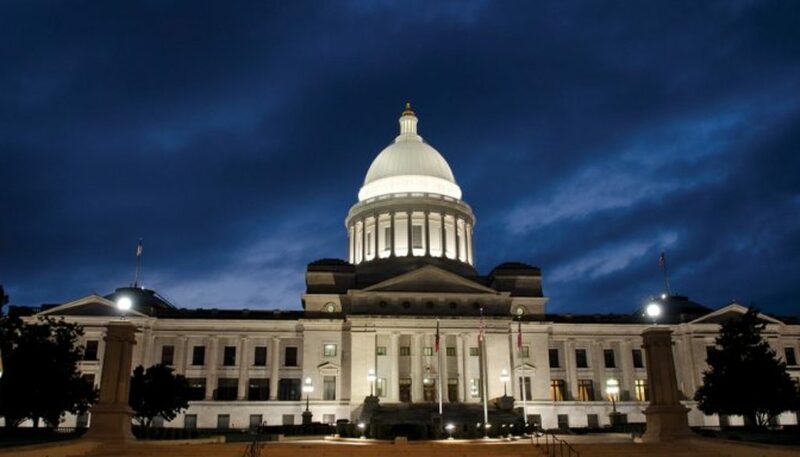 Asa Hutchinson’s proposed tax cut are among the legislative priorities that state House and Senate members will have to decide when the 92nd Arkansas General Assembly convenes on Jan. 14. At the governor’s urging, lawmakers have been studying how to lower the top personal income tax rate in Arkansas, and the state Department of Transportation has a more than $400 million annual revenue shortfall for maintaining the highway system and completing needed construction. 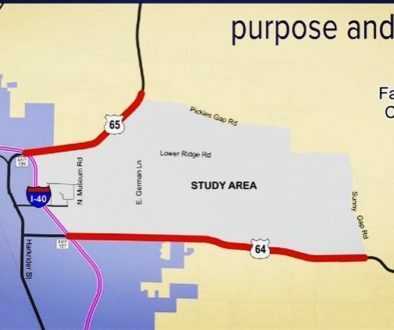 The figure does not include constructing Interstate 49 across western Arkansas or Interstate 69 across southern Arkansas. The agency spends about $455 million annually on the highway system. A half-cent sales tax that helps to fund roads is set to expire in 2022. Hutchinson has touted an extension of the sales tax as part of a solution. State Rep. Joe Jett, R-Success, told Talk Business & Politics the highway issue goes beyond funding. Rural roads across the state, especially in farm-heavy Northeast Arkansas, are rapidly degrading, and it’s a problem that has to be addressed — soon. The way Arkansas pays for road improvements is antiquated, Jett said. The funding formula was developed in the late 1980s and has remained largely unchanged. 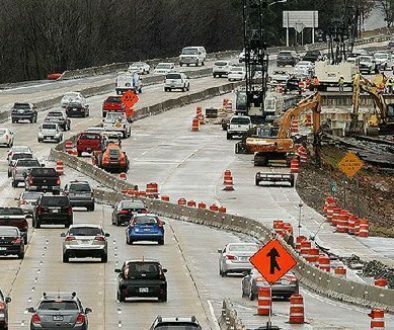 Each year, Arkansas spends about $50 million on road projects and the federal government doles out about $200 million. The half-cent sales tax generates the rest. Prices for road construction materials such as concrete, asphalt, and steel have steadily increased through the years, Jett said. He estimates material prices have inflated by about 3.2% annually since 1978. Lawmakers often ask voters to increase sales taxes to pay for roads, and that’s not always the best solution either, Jett said. State Rep. Fran Cavenaugh, R-Walnut Ridge, told Talk Business & Politics she agrees with Jett that the issue will be a primary concern for local lawmakers. Peco Foods and others have located major operations in the northeastern part of the state, and the road system is vital for economic development, she said. 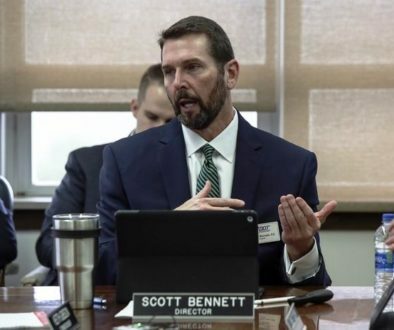 Cavenaugh, along with Jett, thinks the highway issue should be solved by legislators as opposed to referring it to voters because it would save millions of dollars. If a plan is referred to voters, a lot of the expenditures would be subject to bonds, and it could cost up to 25% of the total cost to service the debt on those bonds. Cavenaugh said lawmakers in NEA need to come together as a group and form a block to push for expanded road funding for the region. State Rep. Monte Hodges, D-Blytheville, says finding the right highway funding formula and ensuring that counties and cities in NEA get their fair share of that funding will be among his top priorities. Big River Steel and Nucor have expanded and added hundreds of jobs in recent years. Roads throughout his district that includes Mississippi and Crittenden counties are in disrepair, and this has become an economic issue, he said. “This problem has been coming down the pike for awhile … trust me, I get my fair share of phone calls,” Hodges said. Another issue legislators will tackle in the upcoming session is the proposed individual income tax cut proposed by Hutchinson. The governor wants to cut the state’s top personal tax rate from 6.9% down to 5.9% once the plan is fully implemented. The cuts would remove hundreds of millions of dollars in revenue from state coffers. Hodges said he will likely vote against the tax cut. The only way to pay for this tax cut would be to cut agencies that provide services for residents, primarily children and the elderly, he said. “We need to put the brakes on. Is this a sound economic decision at this time? I don’t think so,” he said. Cavenaugh said she supports tax cuts, but to pay for this tax cut, there need to be spending cuts, she said. “I hope that we can come to a consensus. We need to do it in a smart way. I don’t want to become Kansas,” she said referencing The Sunflower State’s well-publicized budget woes from a series of aggressive tax cuts. People want their taxes cut, Jett acknowledged, and he will consider the issue when it’s raised during the session. But he’s reminded that people also “want to drive on safe roads” and he doesn’t want to put a “Band-Aid” on these problems. Another major problem facing Arkansas is mass incarceration, Hodges said. The state is among the fastest growing in terms of how many people are in its prisons, and it’s costing a lot of money to maintain the system, he said. Fines and rehab are better solutions for a lot of nonviolent crimes, Hodges said. There are tax incentives for businesses that hire felons and those incentives may need to be expanded, he said. There are a lot of companies that won’t hire felons, and we need to understand the issues that surround not hiring felons, he added. “We need to go to these companies and ask them why they’re not hiring them,” he said.